The Tanukhids have travelled a long way from their origins to search for a home amidst a volatile land. Originally part of the Qahtani tribal confederation of southern Arabia, they migrated north after one of the Ma'rib dam's many floods, which devastated their homeland. Led by Malik ibn Fahm, the Tanukhids eventually left Arabia altogether and headed into Persia and the Levant. His son – and successor - Jadhima's death late in the 3rd century AD fractured their confederation, and the Lakhmid dynasty arose to take control, settling at al-Hira and leaving many to continue their lives as nomadic raiders. 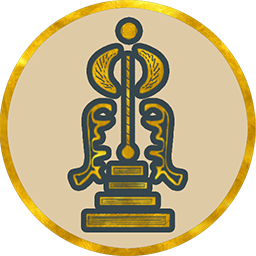 Coming into contact with the Roman Empire, the Tanukhids have since been employed as foederati, and are considered a dependable cavalry force by the Romans. However, having converted to Christianity during the previous century, they recently rebelled against Rome following Emperor Valens' attempts to convert them from Orthodox to Arian Christianity. Furious at this lack of respect and refusal to appoint an Orthodox bishop, Queen Mavia and her army went to war. The Tanukhids fought so hard, and so fiercely, that they swept the Imperial armies away, defeating them in the field on several occasions and forcing Valens' agreement to Mavia's terms. Despite the odds the devout Tanukhids have created a life for themselves as free Arabs, who pledge allegiance to none but God and their brave queen - surely all that is required to attain true greatness! 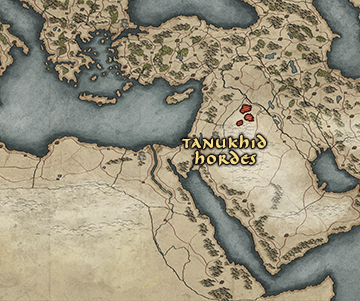 The nomadic Tanukhids have at last broken free of Rome's oppressive yoke. Woe betide any who try to check their power or try their strength.